Thomas H. Boyer is a graduate of Kent State University in 1960 and Pittsburgh Institute of Mortuary Science in 1961. He is an Ohio Licensed Funeral Director and Master Embalmer for 42 years. He is a member of the Heritage Presbyterian Church, Black river Masonic Lodge # 786, Scottish Rite Valley of Cleveland, Al Koran Temple, Lorain County Scottish Rite, Lorain County Shrine Club, Lorain Rotary-Board of Directors, Main street Lorain-Board of Directors, Lorain Public Library Foundation-Trustee, Greater Lorain County Funeral Directors Association, Ohio Funeral Director Association, National Funeral Directors Association, graduate of Leadership Lorain, Ridge Hill Memorial Park Cemetery-Trustee, past president of Lorain County Chamber of Commerce, honorary member of Community Health Partners Foundation, Lorain Port Authority Foundation Board of Directors and the A.T.O. Robert G. Cool, Jr., studied pre-mortuary science at Ashland College and Ohio State University. 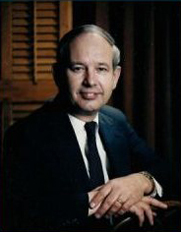 He graduated from the Mid-America College of Funeral Service in 1983. He holds accreditation from the National Board of Funeral Service Examining Boards. He holds an Ohio Funeral Director and Embalmers license and Ohio Life and Health Insurance License. 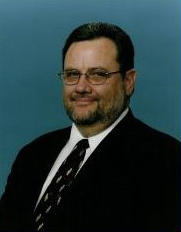 Bob has served as a Guardian Ad Litem-Voices for Children and it's Board of Trustees, Lorain Lions Club and it's board of Directors, Board of Directors Children's Developmental Center, Board of Directors Ohio Funeral Directors Association. Ohio Embalmers Association, Greater Lorain County Funeral Directors Association, He is a CANA certified crematory operator. He currently serves as president of Schwartz, Spence, Boyer & Cool Home For Funerals. Robert G. Cool, III studied his pre-mortuary requirements at North Central Technical College in Mansfield. A graduate of Mid-America College of Funeral Service, Robb is accredited by the National Board of Funeral Service Examining Boards. He holds a bachelor's degree in Mortuary Science. He is a member of the Greater Lorain Funeral Directors Association. Kristie Cool Lemaster serves Boyer & Cool as office manager. She is a graduate of Ashland High School. She is experienced in handling insurance claims, social security and veterans' forms. Always ready and willing to assist you in any way possible.